Antioxidants you take don’t work – do you know why? If you ever heard of vitamin A, C, E and Glutathione, Quercetin, Lutein or Astaxanthin, you probably know what antioxidants are. You also know that they are good for you (spoiler alert: as long as they work!). But do you know why they are good for you and why you need them in the first place? The answer is: the “terrifying and gruesome” (so we were told by companies selling antioxidants), but unavoidable process of oxidation. Oxidation – is it really that scary? Not at all. Oxidation is a perfectly normal biological process that is absolutely essential to life. In fact, you would die without oxidation. The problem is that oxidation sometimes gets out of control in the body, and the overall levels of oxidation get too high. Interestingly enough, it has been noted by researchers that all disease is accompanied by an increase in oxidation in the body beyond the normal limits. It is reasonable to think that if you could lower the oxidation levels of your body and bring them back to normal, this would help the body recover from any illness. But how would you do this? By taking antioxidants, of course! 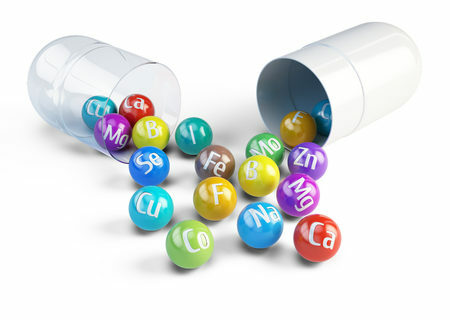 Big doses of vitamin A, C, E and other popular antioxidants should do the trick, one would think. The problem is that taking ‘antioxidants’ does not actually lower the oxidation levels of the body. It has been proven through scientific studies that this method does not work. How to make antioxidants work? Taking a closer look at this issue, researchers have realized why antioxidants don’t actually lower the oxidation levels of the body. The studies showed that is is not the antioxidants themselves that have the ability to lower oxidation levels in the body; it is actually the antioxidant enzyme systems! In other words, the antioxidant enzyme systems of your body must be sufficiently active and in sufficient supply for you to achieve reduced overall oxidation levels in your body. And this is exactly what ozone does. Ozone increases the levels of and activity of antioxidant enzyme systems in your body, helping the body to achieve an overall lowering and balancing of the oxidation levels in your body, and thereby helping to bring the body back to a state of health. It is ozone that decreases the level of oxidation in your body! At GenLife Regenerative Medicine, we take antioxidation to the next level. We use the power of oxygen in the form of ozone (ozone is the most highly active form of oxygen in the universe) to regenerate damaged tissues, joints, ligaments, and tendons, and thus support complete healing and a permanent end to pain. Prolozone® is a homeopathic/oxygen injection technique which, by correcting the pathology of the disorder, gives a 75% chance for the chronic pain sufferer to becoming permanently pain-free.